If I said I spent Easter "riding the Romantic Road solo", would that sound like a metaphor? 'Cause it's totally not. 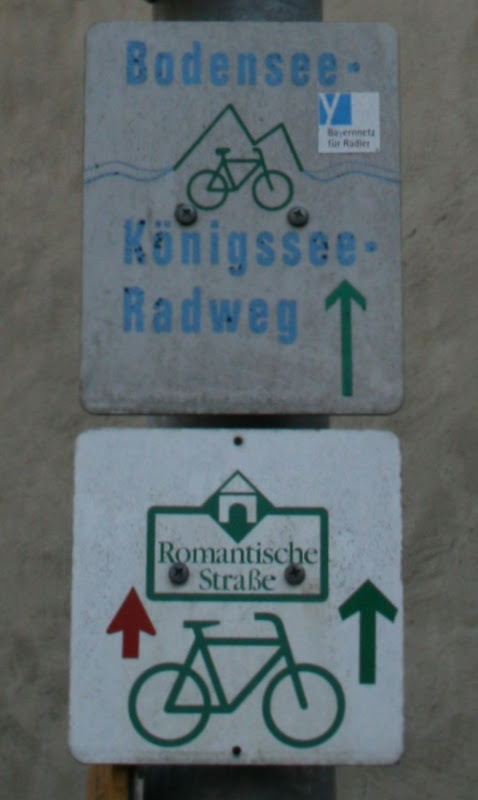 The Romantic Road is a real thing. It's Germany's most popular long distance cycle route, spanning 420 kms from Wurzburg in southern Germany to Fussen in even more southern Germany. It's in Bavaria, but apparently the groups that make up Bavaria are quite individualistic - thus, it makes more sense to say it goes through Swab, Frankonia, etc. They created the route after the war as a tourist attraction, but the cycle version was only created in the last couple of decades when bike touring became popular in Germany. I looked at the topographic map, and, seeing that the route is slightly uphill, decided to ride it from Fussen to Wurzburg instead. As it turns out, the whole thing is rolling hills, so it doesn't much matter which direction you ride it - you're going to get a workout either way. From the south, the route starts at the Alps, runs along the Lech river, crosses the Danube, then runs along the Tauber river before finally finishing by the Main river in Wurzburg. It runs through a series of traditional Bavarian towns. One note about the Romantic Road is that there are surprisingly few camping grounds along the way. If you're riding on a budget and looking to camp, your daily stops are pretty much dictated by where the camps are. A few days before I was due to fly out, I checked the weather forecast, and was horrified to find that it was dropping to -6C at night in Fussen. That is not good camping weather, so I booked to stay in a hotel in Schwangau for the first night. 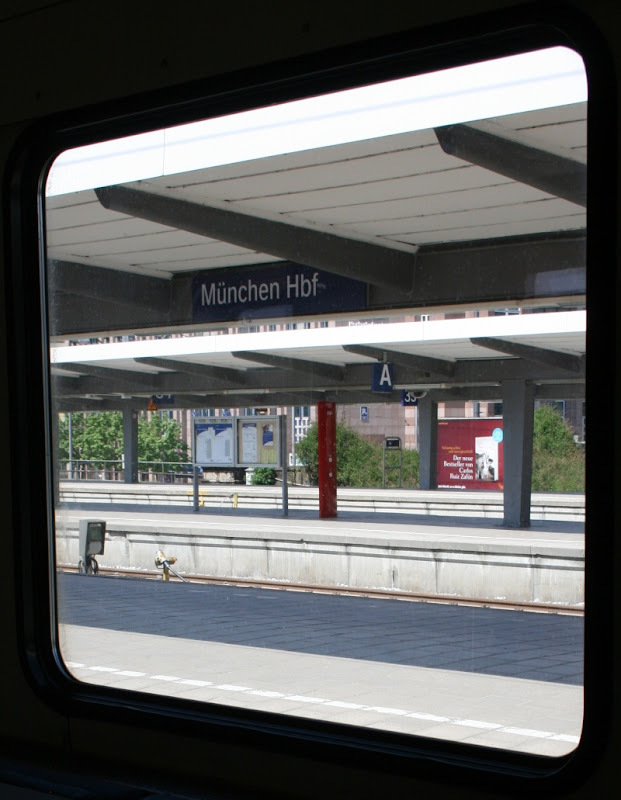 I packed my bike into a bag and flew to Munich at about 5am, rebuilt my bike, caught a train into the centre city, and then another couple of trains south-west to Fussen. 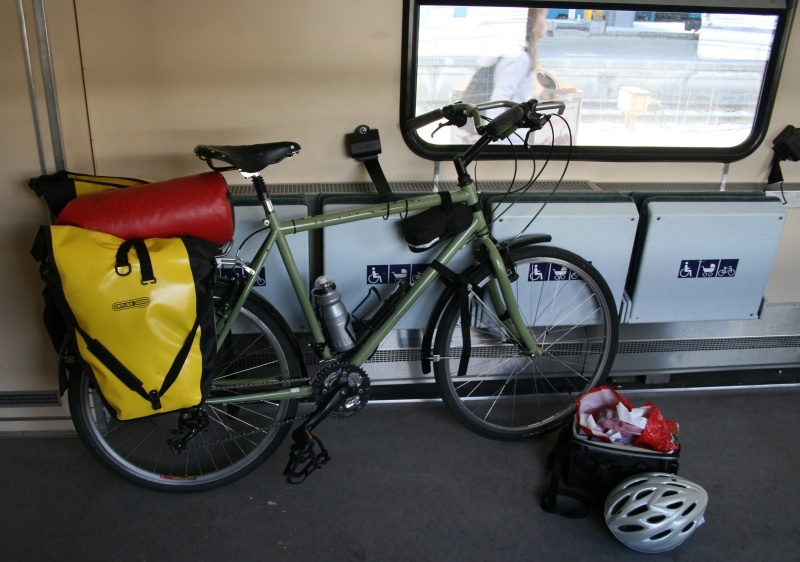 Unlike English trains, German trains have a bike carriage, even with bike seatbelts. On the downside, you have to buy a separate ticket for your bike. On the upside, the German rail service isn't a massively overpriced, outdated, crowded piece of crap. However, they're heading towards privatising their rail service, so I'm sure it'll be rubbish quite soon. Romantic Road (VI): What's a Donauworth? Romantic Road (II): What's all the Fussen About?